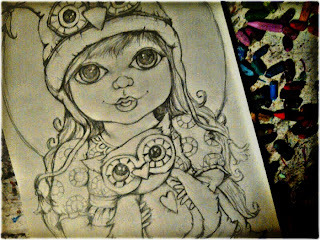 Pop Art Minis: W.I.P A "Hootie Cutie Patootie" and Her Night Owl Friends - Sneak Peek! 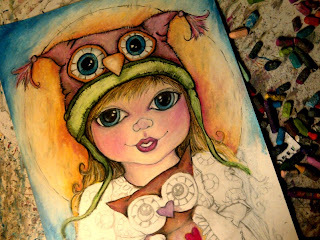 W.I.P A "Hootie Cutie Patootie" and Her Night Owl Friends - Sneak Peek! 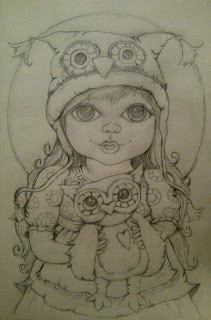 Sharing the sketch on my desk...three sweet night owls! and a hat trick that's a hoot on her head! So with all that sweet, cute fun I had to share over at Sweet Saturday! 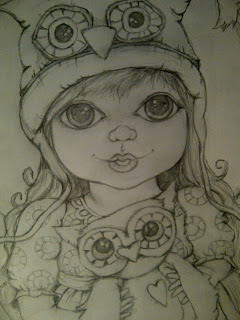 Here's a close up and the big sketch reveal! Next up the bright bold colors! Here's a peek at the "pops" so far! Be sure to buzz by and check out all the "sweet stuff"! Now back to the drawing board for me! So precious! 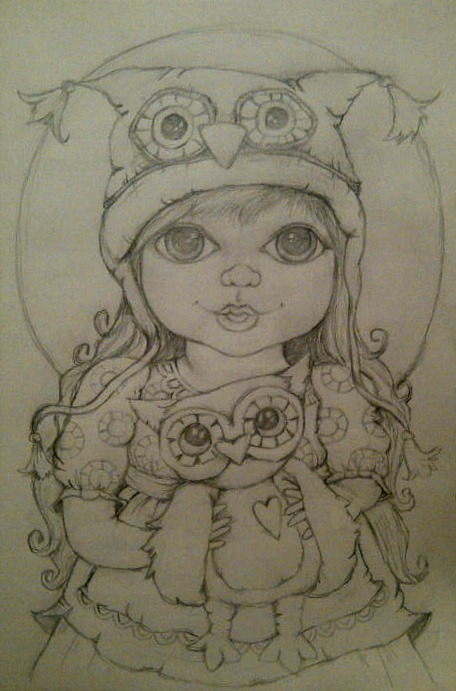 I love her and her owls!!! :) Such nice details and colors. Gorgeous! What a hoot!! Oh I cracked a funny LOL! Joni: LOVE your Pop Art Mini's. I've never seen anything like them. YOU are so very talented! So expressive and just darling! 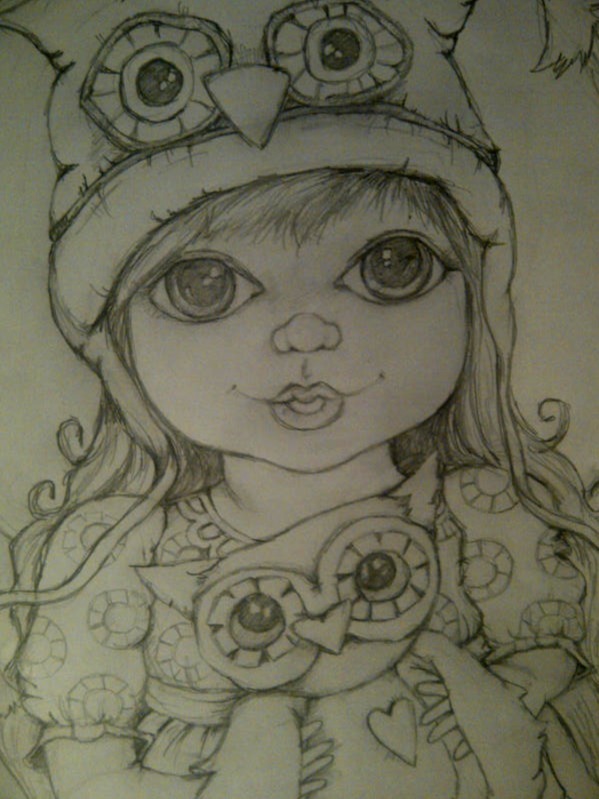 Love their eyes and their perfect lips and their little noses - AWESOME Heading to fb to 'LIke' you! Glad you found PPF! Hi Joni, what a great blog you have and wonderful paintings...awesome! Am a new Follower, and so glad you dropped by my blog and joined too...cheers ann. Thanks everyone for all of your wonderful comments! It's always super duper cool to read them and for sure they bring a smile to my day! You ROCK! 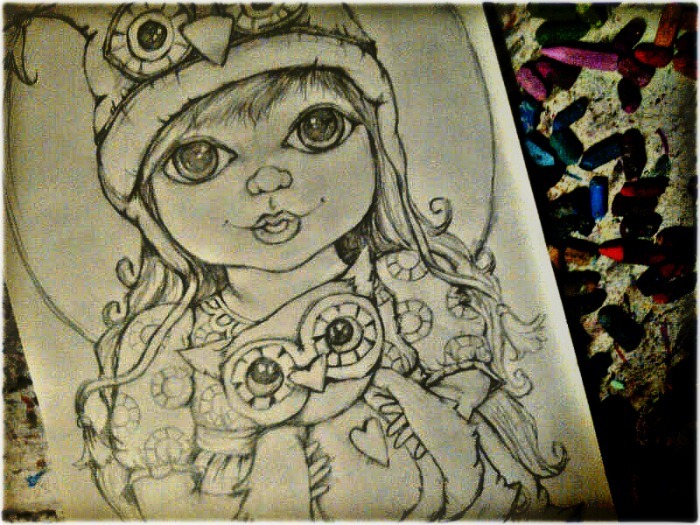 oh I love love love owls!!! this is so so sweet!!! wonderful work Joni!! !